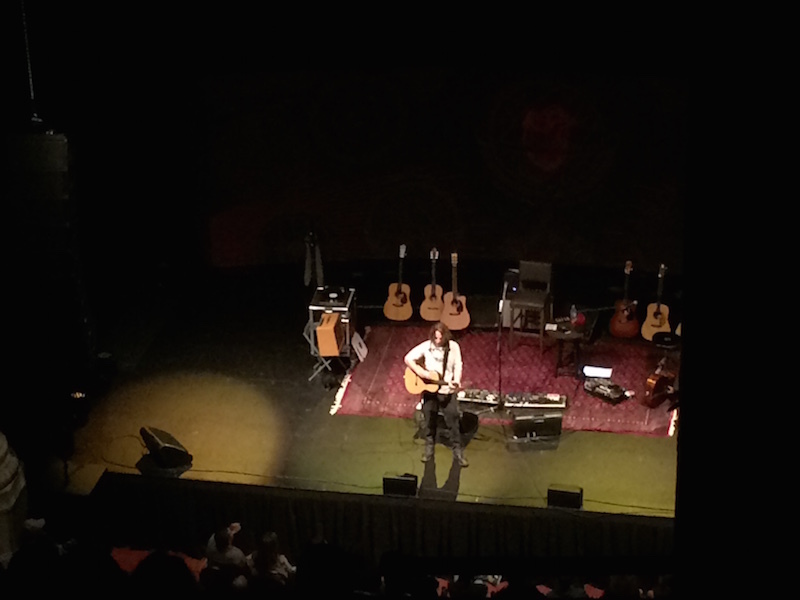 He alternated from stalking the area surrounding the stage’s rug to sitting dead center with a guitar. He fiddled with his turntable’s arm when he needed a more elaborate backing, he strapped on a harmonica rack and sometimes he brought out a guest on additional strings. 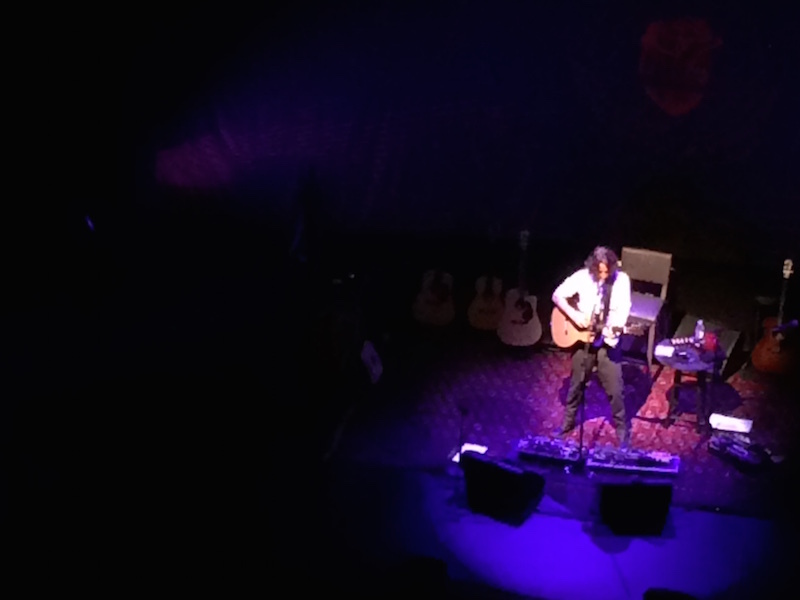 No matter where he settled on the Shubert Theater’s cluttered stage, Chris Cornell staked out his turf to deliver the defining overview his career. And not satisfied to merely run through the many twists of his journey, he gave special placement to some of the new songs that are again cementing Cornell’s place in music. Shortly into Cornell’s set in Boston, he called out friend Bryan Gibson to join his otherwise one-man show on mandolin. There, he added some extra color to “Nearly Forgot My Broken Heart,” the first song off Cornell’s latest album, Higher Truth. It was a stunner, and set the pace for the rest of the evening. It wasn’t long ago where it was easy to wonder with a sideways glance where Cornell would go next. After the breakup of Audioslave and some less-than-thrilling genre experiments, it was even enough to question if his run as one of the greats was over. In the end, that was some short-lived doubt. Soon after, Soundgarden returned from the grave, Cornell went on a career-spanning Songbook tour and now has found his voice again, both on paper and in the hall. He’s walking into theaters armed without much more than some acoustic guitars, a record player and that magnificent voice that, though slightly weathered through the years, still serves as a miracle of nature. The show ran a thread through his entire catalog, tracing from Soundgarden through Temple of the Dog, Audioslave and his solo trips, sprinkling in covers that helped influence his voice (Led Zeppelin’s “Thank You”), his songwriting soul (Michael Jackson’s “Billie Jean”) and his Seattle roots (Mad Season’s “River of Deceit”). But it was his stops through his own work that illustrated his songwriting prowess and power through the years. Detours to soundtrack stops like “Seasons” from 1992’s Singles and “Sunshower” from 1997’s Great Expectations further illustrated just how deep the well is at this point. And of course, the songs stood up well without the full-volume backing of one of his bands. Among the many standouts, “Fell on Black Days” had a particular force. Stripped down to just an acoustic guitar, his voice and Gibson’s cello, Cornell went full force in spinning this tale of the beaten-down narrator and let that voice — one that Henry Rollins once said could strip paint off the walls — soar to the upper reaches of the ornate balcony. Where the songs would have been enough, Cornell himself had a few funny stories to punctuate the timeline, illustrating one of his earliest solo tour stops through Boston in 1999 as a positive experience in a tough environment. It also served as a reminder of just how long Cornell has been blazing his own path since the initial demise of Soundgarden in 1997. He’s jumped styles and groups, with varying levels of success along the way, all on the road to this latest tour. It’s left him with an incredibly varied career, and its telling that on this run, he’s ending each night with a pair of songs from Higher Truth. In its most successful spots, it’s a stripped-down summation of his strengths as a songwriter. On this night, his victory lap included “Josephine,” written for his wife, and “Higher Truth,” one of the key songs from the record and a mission statement for his career. Loud and quiet, solo or accompanied, acoustic or plugged in, playing to a record or a cello or just his guitar, his voice is a powerful and unique element in the music world. When he has something to say, it can carry an entire evening with ease.